I recently was invited to a meeting where several Christians were discussing the existence of God and the reasons they hold to Christianity with a group of atheists and agnostics. Eventually, the point about Jesus' resurrection was raised. When this issue was brought up, one of the skeptics said, "this is an extraordinary claim and it requires extraordinary evidence." Now, I'm not sure how it follows that extraordinary claims require extraordinary evidence. In fact, when you think about it, most extraordinary advances in human knowledge came without extraordinary evidence, but merely the supporting testimony of others who were eyewitnesses to the achievement. When Admiral Peary was the first to cross the North Pole or Sir Edmund Hillary scaled Mt. Everest, these were reported in newspapers all around the globe, but what was the evidence offered? Eyewitness testimony. Now, granted, these kinds of achievements are somewhat different from the claim of the resurrection because they're repeatable - others have gone on to duplicate them. But my point is that when they were accomplished the first time, no one asked for evidence above and beyond the testimony of those who accompanied these men. That type of evidence was sufficient. Another difference, though, may be in the fact that one could argue that while those achievements are remarkable, it is nonetheless conceivable that someone could accomplish them. All the facets for so doing (the strength, planning, etc.) already exist within humanity. Something like the resurrection, however, is on a vastly different plane: it's something never before seen in history. Well, let's look at another investigation that would also be on a vastly different plane, the search for intelligent life in outer space. The existence of life on other planets is a very controversial topic. There exists good research by scientists who have looked at the number of factors required for any life to exist have noted how incredibly balanced all things must be for living things to survive.1 Therefore, they highly doubt that intelligent life could exist elsewhere in the universe. However, there are other real scientists who are right now engaged in the search of extraterrestrial life. The project is called SETI and is funded largely by NASA and the National Science Foundation. If you ever saw the movie Contact, starring Jodie Foster, you would be familiar with the SETI project. SETI stands for the Search for Extra-Terrestrial Intelligence, and these scientists aren't just looking for life, but intelligent life - aliens who can communicate with us. If they were to claim that they've found intelligent alien life, it would be an extraordinary claim. So, how do they hope to prove that such life exists? Do they seek some extraordinary evidence, such as a flying saucer or to display the creature in front of the world? No, they simply point giant radio dishes to the heavens and listen for signals. In the movie Contact, the signal was something as banal as a set of blips in the sequence of prime numbers. This is not "extraordinary evidence". The scientists are simply looking for a signal that cannot be considered random - signals that hold information and therefore imply an intelligent mind. This is very standard evidence; the same type archaeologists look for when trying to understand ancient cultures. The reason the SETI scientists are looking for information-bearing signals in outer space is because the explanation for the existence of that signal can only be intelligent life. I guess one may surmise that a group of natural events could happen simultaneously to generate a signal that produces the first ten prime numbers or something like that, but that does not strike me as a reasonable explanation. For one thing, it's too ad hoc. In other words, it's so unlikely and contrived that it seems to be forced and not the way we see the world really work. When trying to understand the historic claim that the resurrection of Jesus really happened, we must look to see if we have good evidence for it. Much like the SETI project, if the only workable explanation for that evidence points to a resurrection, then we are reasonable in believing that the resurrection did occur. It's not required for us to have "extraordinary evidence", but reliable evidence where the resurrection fits all the facts better than any other. If a competing theory is offered that also fits all the facts, then it should also be considered and both explanations should be weighed to see which is more likely. I believe that we have such facts in the historical accounts of Jesus' resurrection. We have strong reasons to believe Jesus was crucified and was buried, that His tomb was empty, skeptics James and Paul were converted, and the unwavering belief of the Apostles that they were eyewitnesses to the risen Christ. According to Dr. Gary Habermas, these are well-established historical facts accepted nearly universally by both liberal and conservative scholars.2 The question then becomes, what is the best explanation to fit these facts? 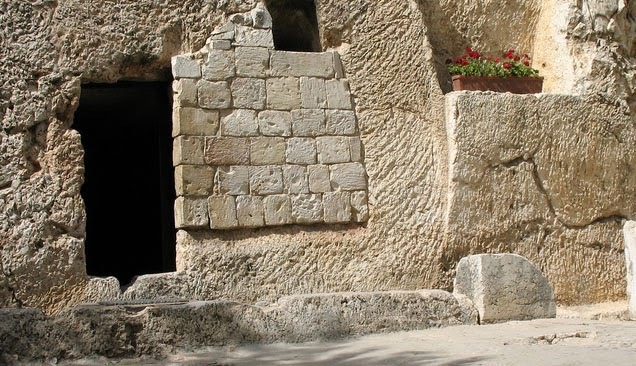 Perhaps Jesus really did not rise from the dead - but then how do you explain the empty tomb? How do you explain the conversion of Paul from a zealous Jew and church persecutor to the biggest proselytizer the Christian church had? Just as SETI, these evidence we have is not extraordinary in itself, but it is extraordinary in the fact that it leads to only one conclusion - that a man really did rise from the dead 2000 years ago and proved it by showing himself not only to His followers, but to His persecutors as well. There is no other explanation that fits the facts. 1. See John D. Barrow and Frank J. Tipler. The Anthropic Cosmological Principle. (New York: Oxford University Press,1988 ). 2. Habermas, Gary R. and Michael R. Lincona. The Case for the Resurrection of Jesus. Whoa - wait a minute. What's your working definition of "extraordinary"? It seems like you're using different definitions in different places, or else just your gut feelings. If it feels extraordinary in your guy, then it's extraordinary. Is that your definition? It isn't my definition of extraordinary that's in question. The phrase "Extraordinary claims require extraordinary evidence" was coined by Carl Sagan and repeated countless times as a simple defeater for the evidence of the resurrection. I'm simply answering that charge. Well, what do you think Carl Sagan meant? We can't even understand what you're saying if you don't set out some criteria for what's extraordinary and what's not. It's no fair just to do it case-by-case. I suggest that an extraordinary event is "something the likes of which I have never seen." So if SETI discovers something in outer space that is like life on Earth, that would not be extraordinary. But if someone said a man could walk on water, that would be extraordinary. Sagan's quote is problematic because he too might be using a different definition for "extraordinary claims" versus "extraordinary evidence." The problem is that "something the likes of which I've never seen" cannot be used as evidence, because that itself would be unbelievable. Maybe Sagan's definition of extraordinary evidence simply means a great deal of evidence. I need a huge mountain of evidence before I can believe claims of things the likes of which I have never seen. Sorry, John. ANY extra-terrestrial life would be "something the likes of which I have never seen." No one has ever seen it. To try and make a distinction here doesn't make sense. Part of my reason in posting this is to show that the phrase "extraordinary evidence" is intentionally ambiguous and therefore not very helpful. I laid out that eyewitness testimony does count as evidence toward the resurrection. Historical writings (such as the multiple accounts of the resurrection) count as evidence. Trying to dismiss those as not "extraordinary" is the problem. Evidence is evidence. I think the traditional understanding of Matthew, Mark, Luke, and John is the most reasonable. Why do you ask? Is there any evidence that Matthew, Mark, Luke, and John wrote these books? Where do you think we got their names from? Every time I request the evidence for the Resurrection of Jesus from a Christian blogger or pastor, the first thing they do is refer me to some apologist's book. Dear Christian friend, if it takes an entire book to prove that your first century miracle happened, it most probably didn't. Open your eyes, friends. You wouldn't read a Mormon apologist's book to decide whether or not to believe Joseph Smith's supernatural claims. You wouldn't read a Muslim apologist's book to decide whether or not to believe Mohammad's supernatural claims. And you wouldn't read a Hindu apologist's book to decide whether or not to believe the supernatural claims of the Hindu gods. Nope. You would expect the person making the supernatural claim to give you sufficient evidence within a five minute conversation...unless that supernatural claim is YOUR supernatural claim...then you expect us all to read your apologist's book to believe it.